Researchers have found one main cause and are trying to crack the mystery of another. The year 2013 was an unlucky one for manatees, the gentle, rotund sea mammals that live along the coastline of the Florida peninsula. The 829 known deaths last year were the highest annual total since biologists began keeping records of this endangered species. It's hard out there for a manatee under the best of circumstances. Because they swim just under water to feed on marine vegetation and surface regularly to breathe, they're often killed by the hulls and propellers of speeding watercraft. Also, they're essentially tropical animals and can't tolerate prolonged periods of cold. An abnormally frigid winter in 2010 was the major factor in that year's 766 deaths, the previous record annual total. Of the 6,500 individuals believed to live in Florida, about 300 to 450 die in an average year of old age, disease, boat strikes, and calves failing to thrive. Two unusual factors contributed to the high mortality last year. One was a concentration of microscopic toxic marine algae, known as a red tide, which killed 276 manatees in southwestern Florida. These toxic algae are always present in low concentrations in the Gulf of Mexico. They are a danger to manatees during a bloom, when they become so highly concentrated in one place that they appear as a fluid red mass—a red tide, in other words. During a bloom, fatal amounts of the algae may be attached to the plants that manatees eat. The algae may also float through the air like a powder, which manatees breathe in. More puzzling are the deaths of more than 100 manatees in the Indian River area of east-central Florida. Despite months of study and necropsies on dead manatees, scientists don't know what killed the animals. "It started out pretty baffling, and to this point they still have no clue," says Bob Bonde, a research biologist with the U.S. Geological Survey and co-author of the book The Florida Manatee: Biology and Conservation. Though scientists speculate that a toxin of some sort is responsible, they don't know what it is or how manatees may have ingested it. This record manatee mortality comes at a time when the U.S. Fish and Wildlife Service is considering "downlisting" the species from endangered to threatened status, reflecting overall population growth during the past couple of decades. Legal protection and better public awareness have helped increase manatee numbers about fivefold, from around 1,300 in 1991. Many environmentalists contend that the push to downlist has been driven in large part by lobbying groups such as the recreational boating industry, and by pro-development, anti-regulation politicians. Pat Rose, executive director of the Save the Manatee Club, an influential Florida-based conservation group, believes that the high mortality rates of the past three years mean that manatees remain vulnerable and need continuing endangered status with its stricter level of protection. "We can talk about whether the population will recover, and I certainly believe and hope so, but we can't afford too many of these records," Rose says. "Probably we're down at least net ten percent, and it could be significantly more." Rose believes the incidence of red tide is growing, possibly because of ever-increasing runoff of nutrients such as fertilizers into marine waters. "It's a very significant threat to manatee survival," he says. "Whether it's a long-term trend or not, in the short term it's happening more frequently and it's killing more of them." From 2010 to 2013, about 900 more manatees died than expected—from red tides, cold weather, and other mysterious causes. "It would be absolutely wrong to move forward with downlisting without factoring in the extremely high mortality over this three-year period," says Rose. Bonde, on the other hand, thinks that downlisting is appropriate—though only with constant monitoring—given the manatee's steady population growth. He wants to know, for example, why manatees in some areas of Florida grow bigger and more robust than those elsewhere. "We should be precautionary about it," Bonde says. "We've done some good things. Let's make sure that we maintain the same rigors of protection that got us in these good conditions. The last thing we need is for the population to slip into an endangered state again." 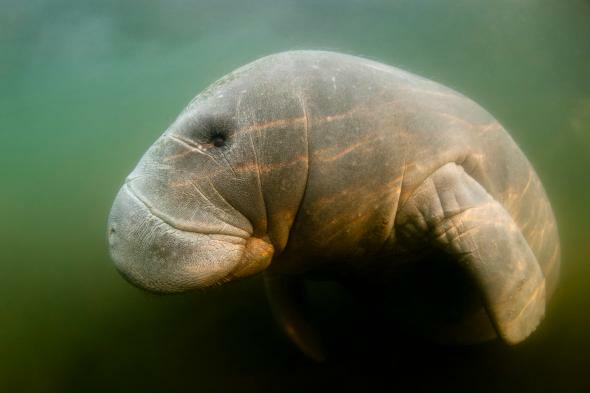 Some environmental organizations have already vowed to file lawsuits if the Fish and Wildlife Service decides to downlist the Florida manatee from endangered to threatened. Pat Rose isn't saying whether the Save the Manatee Club will take that route. But he adds that, "Being the voice for manatees, we're going to be here to speak for them."